Produktinformationen "Carver Roundhouse Wheels Oxblood 75mm 81a"
Carver trucks are all about carving, and wheel traction is key, so they've designed a wheel that is all about grip and speed. The Mag is a delicate balance of a square-edged lip to maximize grip and a harder center profIle for speed. The key is in the shape of the lip; thin at the edge but quickly getting thicker, with a hollow relief near the core. What this does is create a spring-loaded, rebounding lip, so each time you pump for speed the wheel pumps back. And because the contact patch is nice and wide you can really dig into your rail and these wheels stick. 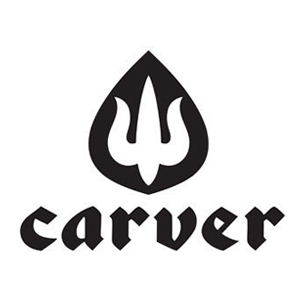 Made in the USA from custom mixed urethane specifically formulated for Carver's new Roundhouse brand. Weiterführende Links zu "Carver Roundhouse Wheels Oxblood 75mm 81a"
CARVER - Stacked Deck with Grip Tape 31,25"